Annuals are plants that flower during one growing season and then die, though some annuals become perennial in warm climates. New York’s climate and growing seasons are affected by the Atlantic Ocean, the Great Lakes and the weather that approaches from the Great Plains. This causes a range of average temperatures from 40 degrees in the Adirondack Mountains to 55 in New York City. Cornell University counts about 100 common annuals that grow across New York. 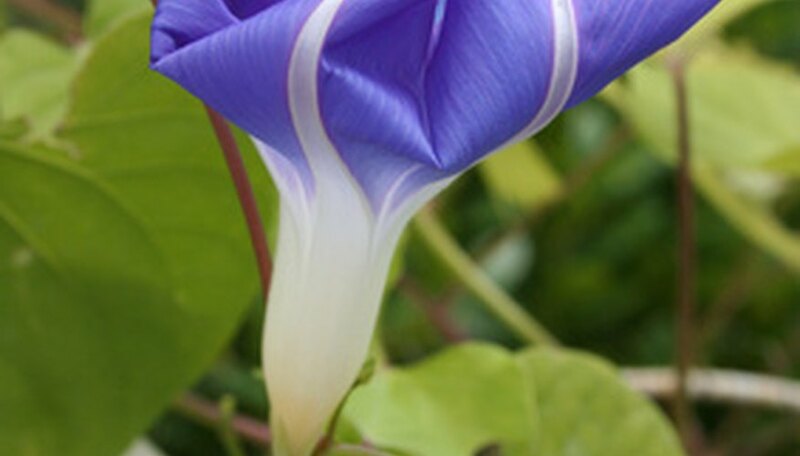 Morning glory is a hardy annual vine with trumpet- or saucer-shaped flowers that grows rapidly. The plant can reach 10 feet in length and in warmer climates quickly becomes invasive. While wild morning glories in New York are almost always pale blue, varieties like star of Yelta, with deep purple flowers, and chocolate, with pale brown flowers, are commonly found in nurseries. 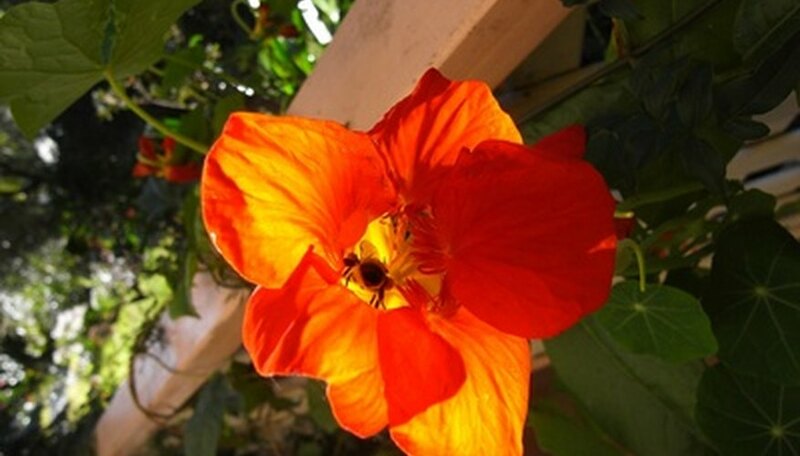 The plant gets its name from its habit of blooming in the morning. The flower then begins to fade and will usually drop off in the evening. New blooms are formed constantly. The Ipomoea indica variety can produce 300 flowers a day. Nasturtiums grow quickly, which makes them a natural choice for the cooler New York climate. The dark green leaves resemble lily pads, and the traditional bright yellow and orange blooms add color to the garden. Some hybrids are brilliant red, creamy white and peach. One heirloom nasturtium has double flowers. Compact nasturtiums grow to about 12 inches high. The trailing variety can grow to 20 feet long in warm climates. 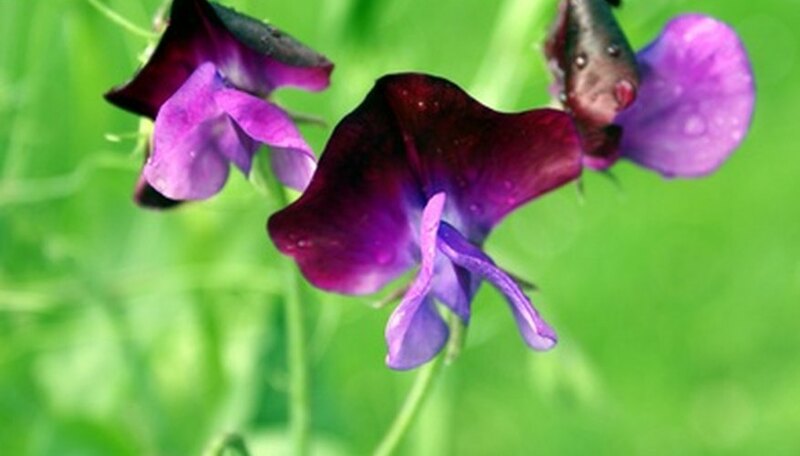 Despite their delicate beauty, the blossoms are durable and have a peppery flavor. They’re commonly used as garnishes, tossed in salads or used as a decorative touch when set in the icing on baked goods. Ageratum grows in mounds and produces long-lasting clusters of fluffy flowers. Varieties grow to heights of from 6 to 18 inches. One of the few truly blue annuals, there are also less common types that are red, pink, lavender and white. The dwarf cultivar Hawaii has pink, blue and white flowers. The leaves of the plant are heart-shaped or oval. Ageratum derives its name Greek “a geras,” which means ageless, because of the blooms’ longevity. The early bloom, long life of the flowers and hardiness of the plant suit it to the shorter summers of New York. Bachelor’s button, or cornflower, grows wild across New York and has been grown in gardens since colonial times. The plant has long, tough, multiple stems with sparse leaves topped by fringed flowers with numerous tubular petals. 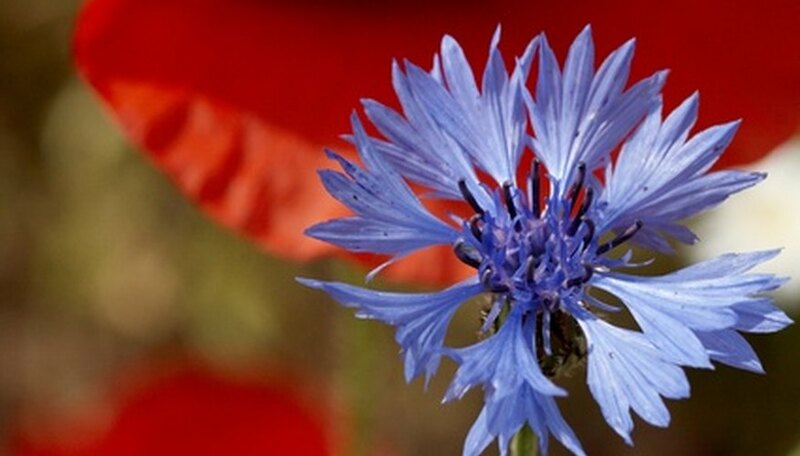 While cornflowers are usually blue, there are pink, red and white varieties. The plant can grow to 2 to 3 feet in height. Leaves are gray-green and covered with fine hairs. The flowers attract butterflies to the garden. Legend has it that the name derives from the habit of bachelors wearing the plant as a boutonniere to indicate they were single. What Is the Calibrachoa Plant?